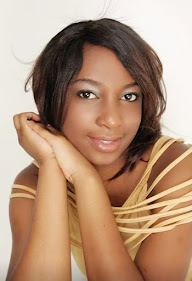 So i am conducting my very first hair growth challenge. Yeaaay!! I spent the greater part of last year in wigs and i neglected my edges (i'm so ashamed to acknowledge this) and experienced really bad breakage, like really bad i can't even share the images. 2017 is a new chapter however, and i intend on growing my edges back and improving the overall health and length of my hair. I will be using two growth aids, vitamins and Jamaican Black Castor Oil. I will even be leaving my hair out more often this year (so unlike me gosh!). I've always read good reviews about the Manetabolism Plus Vitamins and was recently talking to a friend who has been using them & experienced growth in just 2 weeks so when i saw a free shipping sale on their IG page a few weeks ago i decided to order. I ordered a 6 months supply then shared with a friend so we are going to try 3 months each. I tried Biotin before but i did not experience much growth. 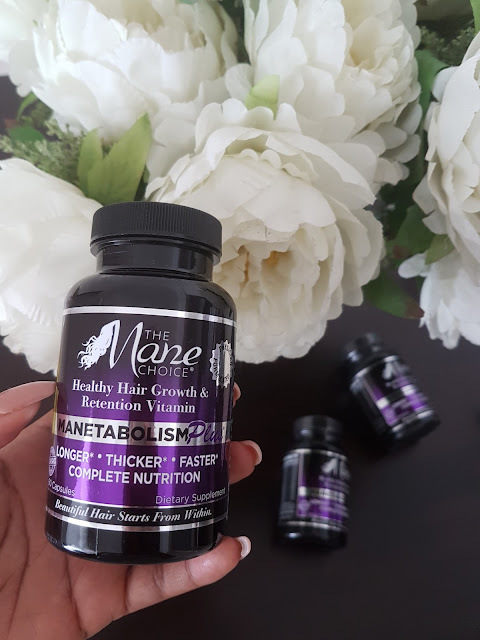 I was not keen on Hairfinity because based on my research it is more of a hair vitamin whereas Manetabolism is more of a dietary suppliment that provides more benefits. 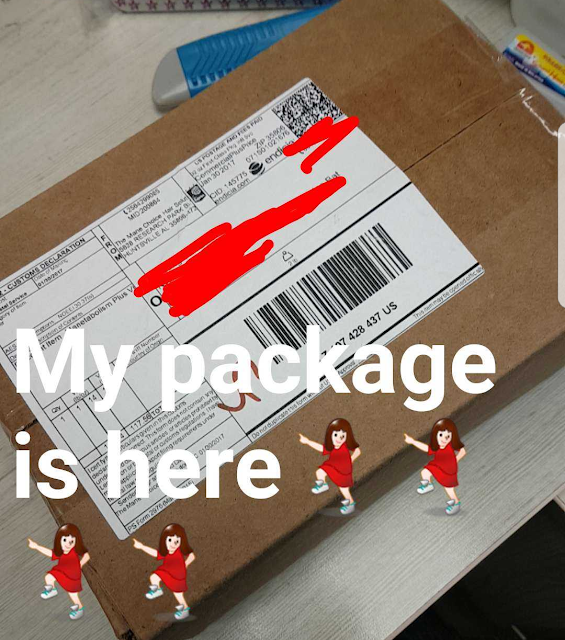 On their Website it states that shipping takes 10-14 business days so i was expecting them in 2 weeks however they were delivered in 1 week which is AWESOME! I love the packaging, the colours are pretty but in a matured way (if you get what i mean haha!). It was $146 for 6 months supply however after the discount which included free shipping from US to Malaysia my friend and i ended up paying $117. Thats a pretty fair deal! We rise higher together than as individuals and so i am opening this up to anyone serious about growing their hair and interested to join. If you are interested in growing with me or looking for some daily inspiration to grow out your hair or retain length email me thenicolenproject@gmail.com and i'll get back to you. I'll be back in 3 months time with a more comprehensive review after my experience with the vitamins. Happy hair growing! I think this is exciting! I am skeptical about the products claiming hair growth, to be honest, but I am excited for you and I will definitely want to hear more about the results. My hair is 'thin' and I've been wanting thicker, voluminous hair. I feel like my hair has been thinning out lately so I could totally benefit from something like this! Thank you Brandi :) I'm hoping so too. I have know people to use these with mixed results. They did not work for my sister but a friend swears by them. I 'm growing out my natural hair but without vitamins and have had great results just my moisturizing, detangling, and massaging my scalp. I hope you achieve your goal. Thanks LaToya.. i really hope my edges can grow back. I've tried a lot of things that did'nt work and counting on these. I can't wait to hear + see the results! I hope that product works for you. I'm mostly apprehensive about such products - I think it's the uncertainty. However, I hope this works for you and I do look forward to your review in the months to come. Lately I have been entertaining thought of letting my hair grow. I am still not sure about this. On the other hand I am not familiar with hair growth products because I have never paid too much attention to it. This was a great post for me to refer to in future whenever I decide to let my hair grow back again. 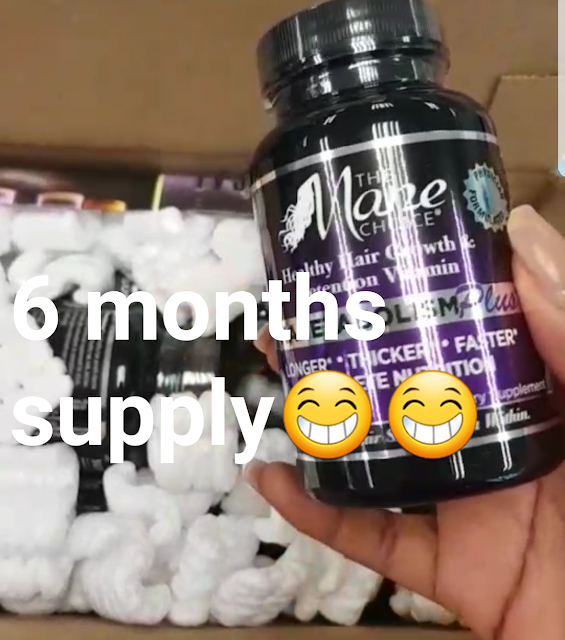 I'm not really one to support hair growth pill supplements but I do hope this will suit you! Thanks Sarah i'll check it out. Ooooh this looks really good! I cut my hair a year ago into a bob and whilst it looks nice, I just want my old hair back lol. I wouldn't mind giving this a go.